Like most adherents to fitness today, I got my first introduction to the world of fitness through bodybuilding. Like most males involved in fitness, I was attracted to bodybuilding, at least partially, for the glamour shown by most of the media surrounding the sport of body-building: movies with muscle-bound stars that always get the girl; pictures of Arnold Schwarzennegger surrounded by lovely, scantily-clad women; photo-shoots in magazines of modern body-builders, veins and muscles popping, lifting incredible amounts of weight – it all appealed to a childish sense of manhood. While no longer interested in the sport of body-building as a way of getting fit, or strong, for that matter, I still keep up with it. I follow the Olympia, watch body-building videos on Youtube, and occasionally buy Flex Magazine, or something similar, because it’s fun. One of my most enlightening findings in the body-building world was that of Kai Greene, because he upheld no pretence as to what body-building was: he often performed light-weight, high rep workouts in front of the camera, often speaks of “the filter” that many people view bodybuilders through, and – in the spirit of tearing down illusions – often philosophizes on the psychiatry behind doing something incredible, admitting that he “might be a nasty mother-fucker behind the scenes” and that many people need to be able to call on that when going beyond human limitations. 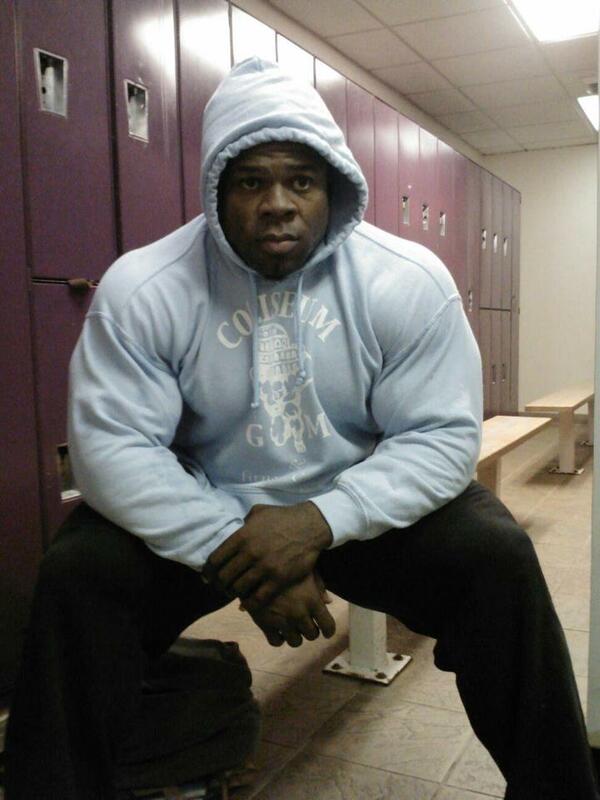 One thing that always confused me about Kai Greene, though, was his relatively hasidic liftestyle. Despite being an extremely successful body-builder, having won the Arnold Classic twice, and placed 2nd in the last two Mr. Olympia competitions, he still lives in a small, run-down apartment in Brooklyn, and doesn’t drive a beautiful car, or wear beautiful clothes as you’ll see a lot of other bodybuilder’s do. Another anomaly is his appearance: the strange haircut, the scars, the ever-present hoodie, even in intense heat. These all raised questions as to why he would put himself through this. Why, even though he has the means to live what many other people would call a better life, does he still live as though he were a struggling body-builder? Masterpiece: a piece of artwork which transcends the levels of creation previously attained by the artist, and judged by others to be the best of their work, and on the same level as work of other “masters.” Some would argue that Kai reached his “masterpiece” at the 2012 Olympia, Kai would disagree, but only the future can know for sure. note: As I wrote this a few years ago, Kai Greene’s record has changed. He currently possess 3 Arnold Classic wins, and 3 Mr. Olympia runner-up finishes.